You are here: Home / Finance / Couponing / 11 Frequently Asked Couponing Questions! 11 Frequently Asked Couponing Questions! I am often asked many of the same questions by people learning to coupon, so I thought it would be nice if I compiled those and all the answers together! I remember I had a gazillion questions when I first started and luckily I had a woman who took me under her wing and taught me everything! I remember the days of standing in a store trying to decide what coupons I could use on what items and how many I could use on each item and all sorts of things. But, she was a phone call away! I remember one evening she called me and asked if I wanted to meet her at the store she was picking up some deals. Yes, PLEASE! I was so excited to watch and learn as she shopped! It was quite a sight, too! She had a buggy JUST for her coupons! She had them in file boxes and took them every time she shopped. Hopefully you’ll find all the answers you need to help you be successful in your coupon shopping! 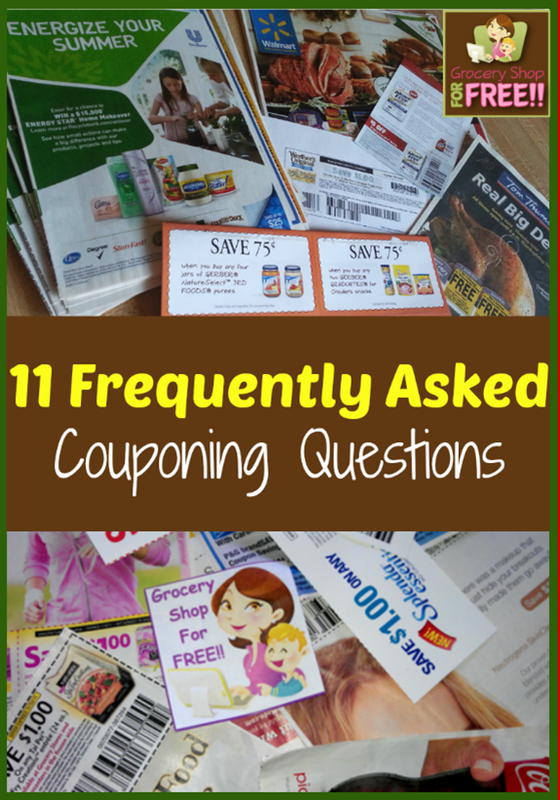 Just click on the links below to get the answers to 11 Frequently Asked Couponing Questions! What If The Store Refuses My Printable Coupons? One Per Purchase Or One Per Transaction? How Do You Read A Coupon Matchup? If you have any more question, I am also always around to help!